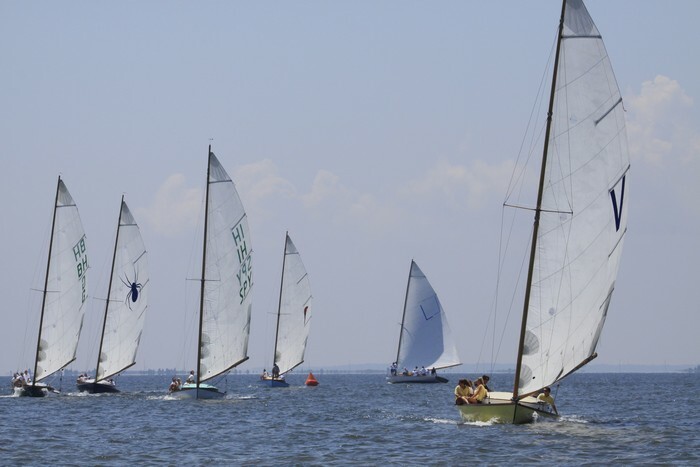 A sign of late summer is the Downbay Regatta, held at the Little Egg Harbor Yacht Club and hosting A Cats, Lightnings, E Scows, and catboats from Long Beach Island north along the Jersey coast. 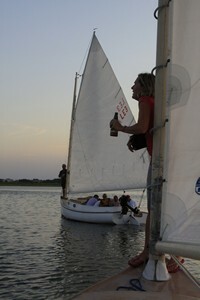 It’s two days of serious sailing races and two nights of serious partying. Here, one of the giant A Cats, Vapor, heads out from Liberty Thoroughfare to make for the race grounds. 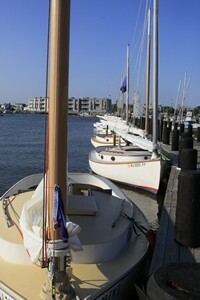 These magnificent boats are in the tradition of the large boats needed to haul goods from the mainland to the barrier islands in the 19th century. The A Cats are the 20th century interpretation, re-created beginning in the 20’s. 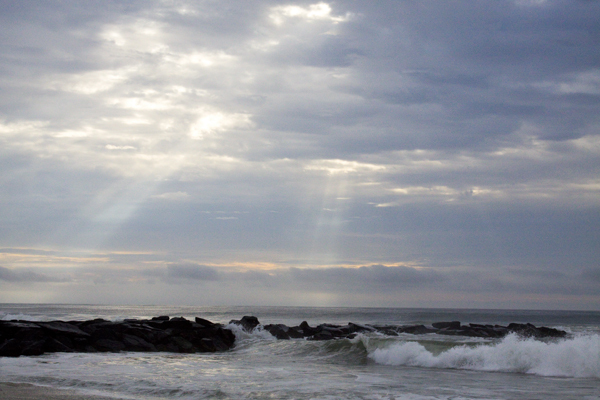 They are typically on the order of 28′ long with 12′ beams. 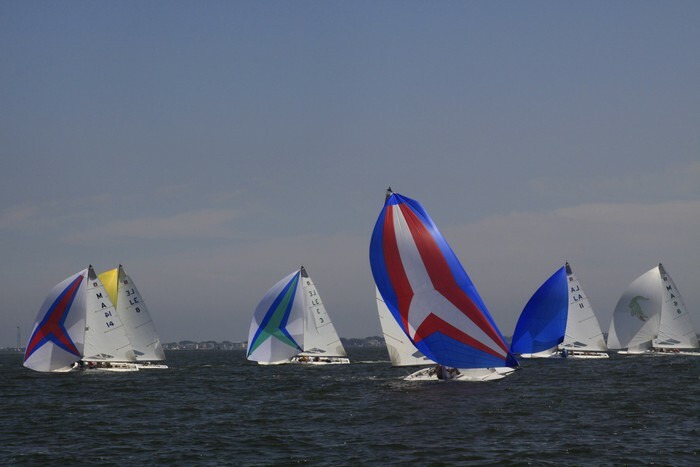 Here we see (left to right) Lotus, Vapor, Spy, Ghost, Spyder and Tamwock headed downwind. Here’s the group making for the turning marker. 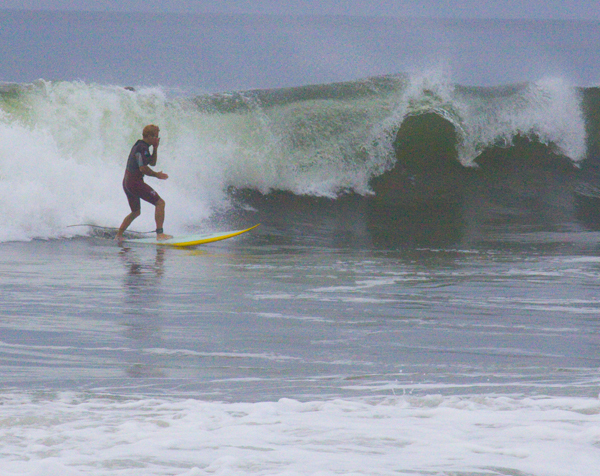 I’m happy to have used a telephoto lens rather than being this close in front of them. 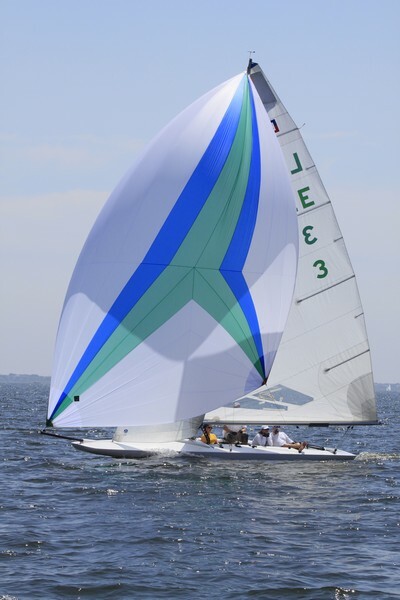 Equally awesome, particularly with their colorful spinakers are the E Scows. What an awful name for such beautiful boats. 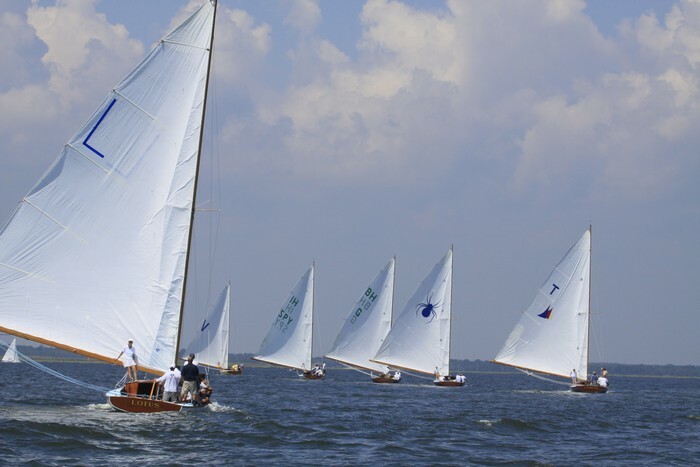 For some more images of the Downbay races, click here. 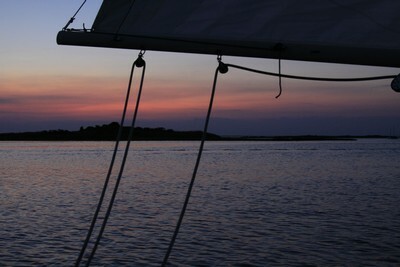 One of the highlights of the summer season is the Twilight Sail around Mordecai Island, just west of Beach Haven. The event began with hamburgers and a keg on the deck. After dinner we strolled down the dock to find a boat with some room in it. For a little background music (dated, I know), click on the arrow below. We boarded a boat and after some milling around the start horn was sounded and we were off. 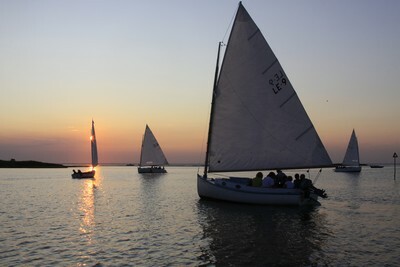 Unfortunately, the wind was light and variable and soon we were all tacking in different directions (some not so good). But, the party mood prevailed. Here is our lovely masthead figure. 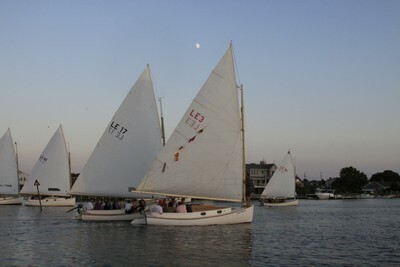 Eventually the twlight closed in on us and we returned safely to the dock after a great, fun evening.